There are few occasions to match the excitement and glamour and of an Opening Night at the Met. 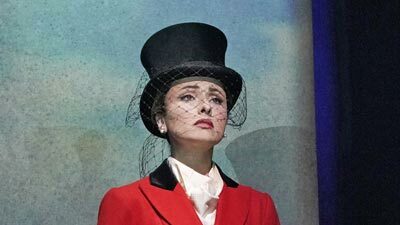 This spectacular gala showcased the extraordinary soprano Renée Fleming in three different, equally dazzling roles, each costumed by a different designer. The famous productions by Franco Zeffirelli (Verdi’s La Traviata, Act II, conducted by James Levine), Jean-Pierre Ponnelle (Massenet’s Manon, Act III), and John Cox (Strauss’s Capriccio, final scene) were fully staged. With Ramón Vargas, Thomas Hampson, Dwayne Croft, and Robert Lloyd.